James Calado, who this morning put Force India on the top of the timesheets on the opening day of this year’s Formula 1 young driver test at Silverstone, keep his feet on the ground about it: “It’s nice to be fast but you don’t know what every one else is doing”. The 24 year-old British driver, who learn about this opportunity “not so long ago” feels he is fulfilling a “lifetime ambition”. Patricia Sánchez: First day on track, how does it feel? A: Fantastic… It was really estrange, just left the pit lane and just couldn’t believe the amount of grip that was available. It’s completely different to what I am used to, but after a few laps I manage to get used to it. The grip and the breaks started to wear off and I was able to give some good feedback and bring some good laps times. Considering it’s my first time, it’s pretty impressive. It’s just fantastic feeling, what a great opportunity to get the chance to have a go… what I always wanted to do… yeah! Over the moon. Q: Well, you are not new to the car – you have done a straight-line test with the team – but I guess this is a complete different experience. Yeah…obviously straight-line test was good for me, learning all the controls and the steering wheel and things like that. Getting on the track for the first time, it’s like you said, a complete different experience… it’s the first time I’ve been around a corner, the first time I’ve ever had break temperature, I’ve been out the break line and thinks like that. So, just and unbelievable experience, I can’t really describe how good. Q: We all know the route to Formula One these days is very hard but it seems obvious how much help a potential Friday role with Force India could be. Is that why you were quickest this morning? 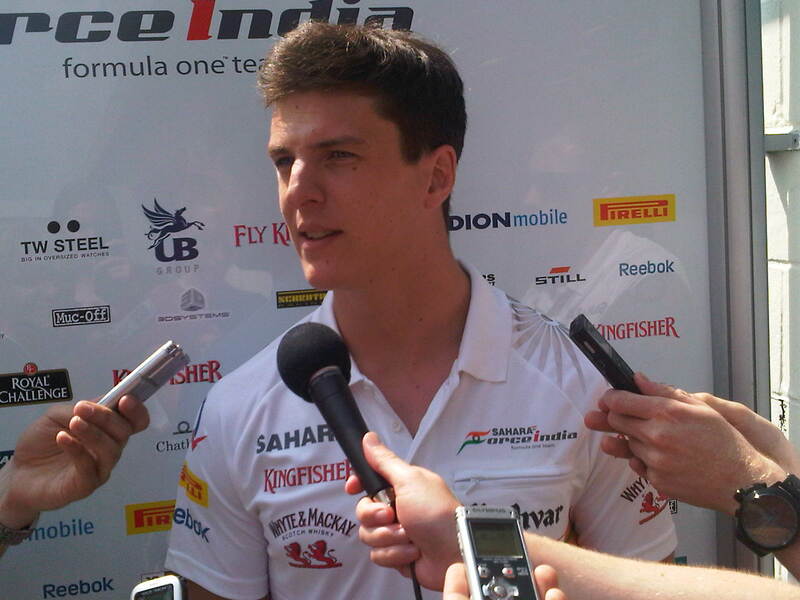 No, you know, I’m here to do the Young Driver Tests with Force India and that’s it. And as I said is nice to have the go nice to prove that I can show some speed and lets see what happens in the future.